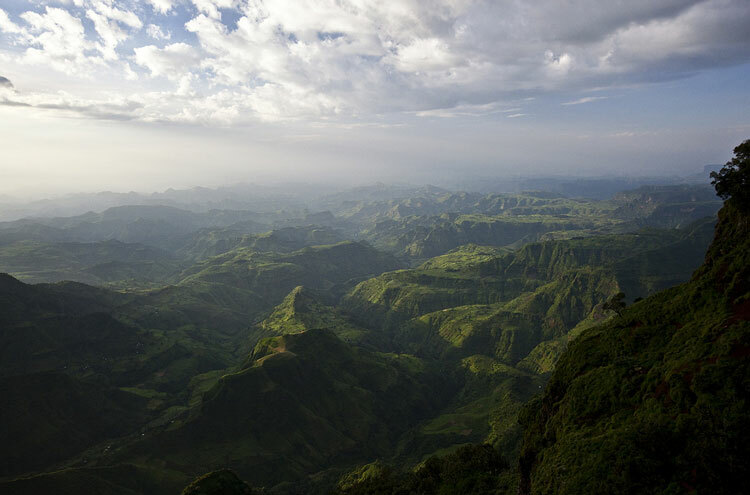 Magnificent highland scenery, with high plateaux riven by deep gorges and a spectacular skyline of towering peaks, including Ethiopa’s highest. Many outstanding views. A World Heritage site. The mountains are full of exotic flora and fauna. A traditional but very poor way of life. 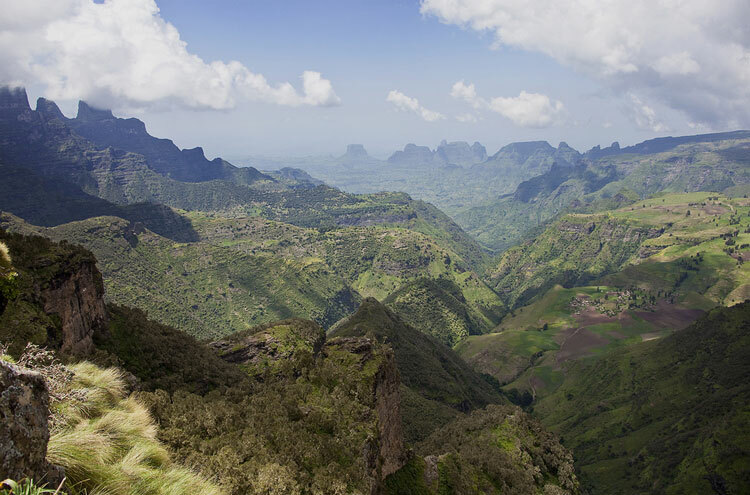 One of the major mountains ranges in Africa, the stunning, rugged scenery of the Simien mountains provides a dramatic setting for some very exhilarating trekking. 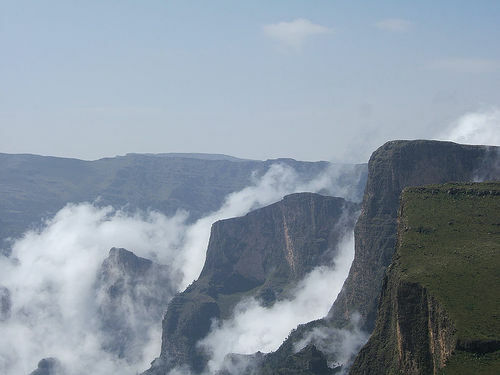 The peaks form a jagged skyline, with deep gorges carving through lofty plateaux edged by huge escarpments, with striking flora and fauna scattered around the landscape. Amongst all this is the highest summit in Ethiopia (the fourth highest in Africa), Ras Dashen – the actual height of which is under debate, but is generally considered to be 4,543m. Wildlife is a highlight of the range, as it is home to three endemic species (the Walia ibex, the Simien fox (ironically seen more often in the Bale mountain range) and the Gelada baboon) as well as many others; the sixty-three species of birds are equally fascinating, particularly the rare, huge Lammergeyer. 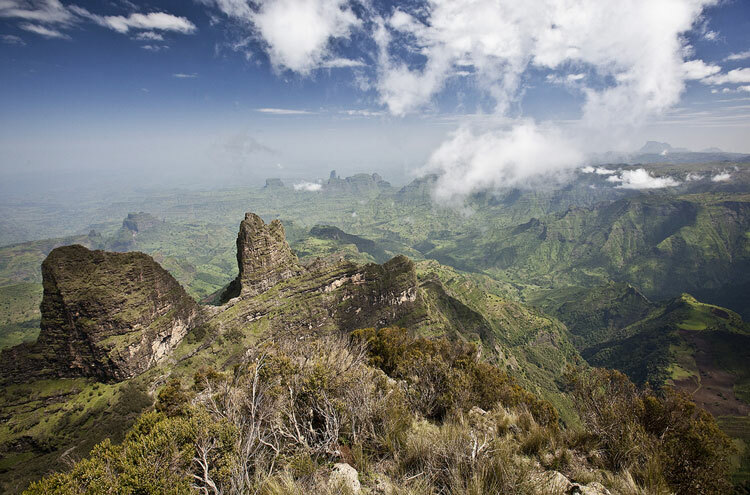 The Simiens are formed from highly eroded volcanic plateaux with dramatic escarpments, and are said to be unique – along with the Drakensberg in South Africa, that is. Surrounded by this beauty both natural and man-made, it is possible to overlook the extreme poverty of the country. In these mountains the Amhar people live in rural villages which they say aid often does not reach, and many suffer badly through lack of medical supplies, food and good sanitation. There are various routes that can be taken, depending on what your expedition organiser recommends, but most people go via Geech, Chenek, Arhwasiye and Ambikwa to Ras Dashen peak. These are high (mainly 3,000-4,000m), remote and tough walks in unpredictable mountains: be prepared. 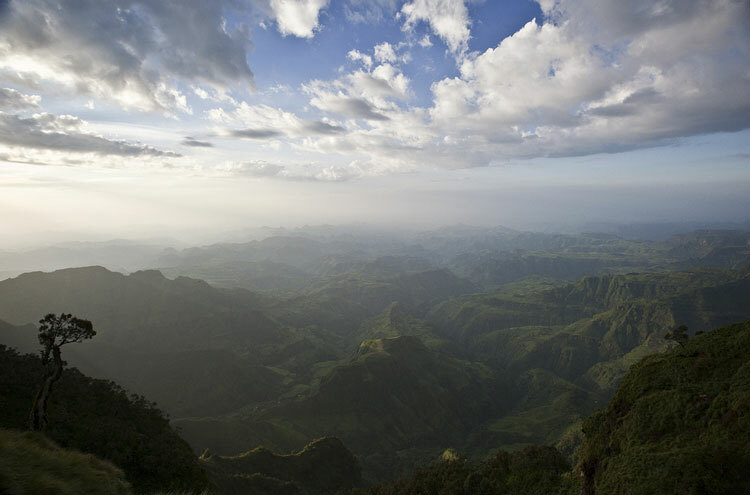 There are many spectacular historical sights in the area, in both number and quality, and many expeditions take in some of the most impressive along the way, including the amazing rock-hewn churches of Lalibela, many of them up to 800 years old, and the castles of Gondar, the seventeenth century capital of Ethiopia. www.tourdust.com also organise an expedition here : we have travelled with Tourdust, and were delighted. They were very nice and flexible to deal with, and evidently cared about quality, as their walk was meticulously prepared and our support team were outstanding in every way. We are proud to be their partners. Actually it is best to avoid the key months of Oct, Nov, January. Other months such as September, March, April, May and June are excellent when you can trek in complete tranquility with good weather. 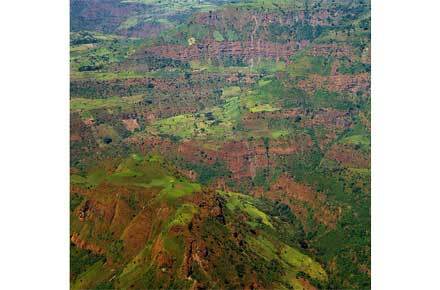 Simien Lodge at the beginning of the park is an excellent place to start and end the trek. Scouts are essential but are really there to create employment. Other people such as cooks, muleteers and guides are not essential but will add to the enjoyment of the trip. The best views are from Buit Ras to Sankabur and then at Imet Gogo. 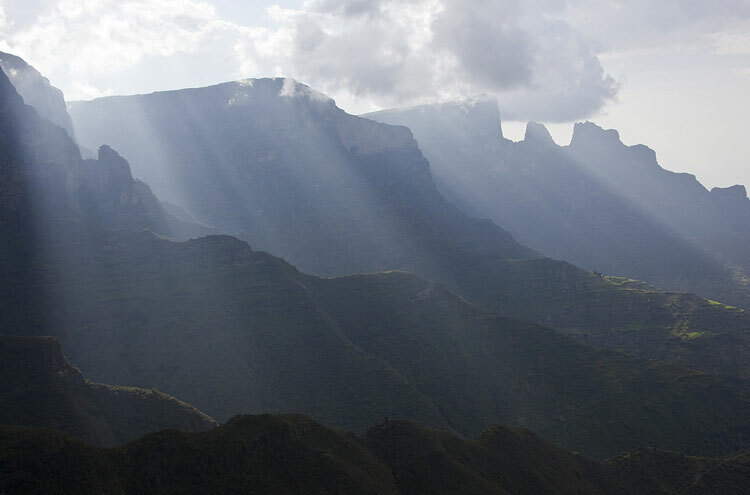 The starting point for any visit to the Simien Mountains National Park is the National Park Office in Debark. The Park Office is the first place to go to for permits, information, travel preparation and any other form of support for visitors to the National Park. It is here that the required entrance permit can be purchased, and an official SMNP Guide, cook, Scout and porters contracted. Visit the official website, contact any of our local guides and they can arrange/organise your tour, pick you up from Gondar air port or hotel...as simple and no need to book with big, expenssive companies from abroad.